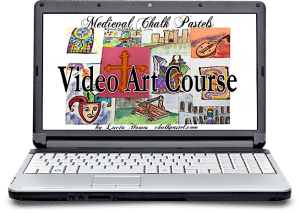 Middle Ages Video Art Lessons - You ARE an ARTiST! 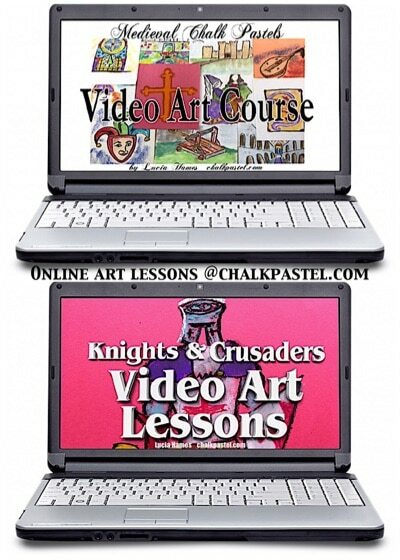 Two sets of middle ages video art lessons together for one low price! With your chalk pastels at the ready, let’s take a tour of middle ages history. 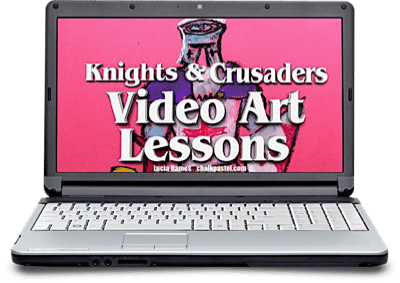 It’s medieval history plus knights and crusaders art lessons all rolled up together for a marvelous learning experience. Middle Ages Video Art Lessons for What Ages? Crown from Chalk Pastel on Vimeo. What is included in the Middle Ages Art Lessons Bundle?